Anse Chastanet and Jade Mountain resorts have great reasons to celebrate Earth Day 2018. ST. LUCIA (April 21, 2018) – On the occasion of Earth Day this Sunday, the theme of which is “End Plastic Pollution”, St. Lucia’s Anse Chastanet and Jade Mountain resorts are reaffirming their commitment to the environment with the elimination of 90 percent of single-use plastics from their operations. 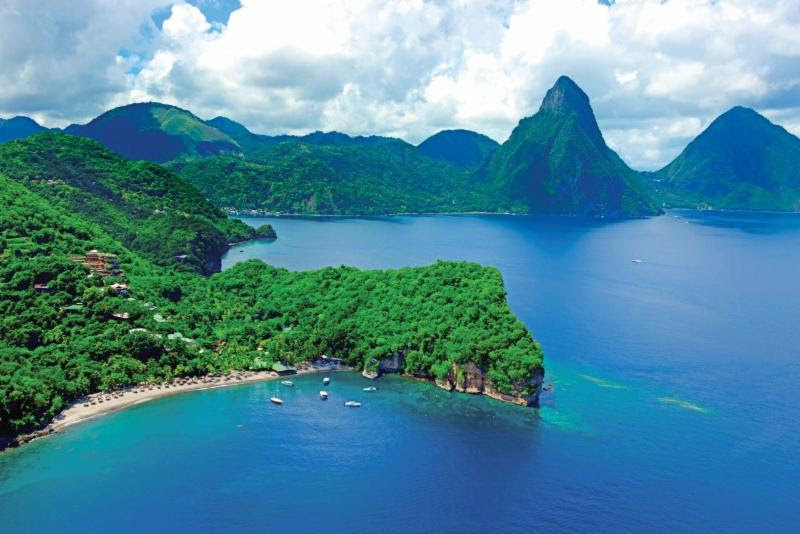 Carefully built to ensure minimum disturbance to a lush 600-acre estate in the Soufrière hills of St. Lucia, Anse Chastanet and its sister property, Jade Mountain, are award-winning resorts dedicated to responsible tourism. Mindful of the impacts of plastics on land and marine environments, the resorts’ management teams began their internal focus on the reduction and elimination of plastics from their operations in 2015. Since then, the resorts have made great strides in reducing plastic usage and in finding creative alternatives to plastics for food containers, cutlery, cups and straws. This includes the use of wooden, metal and melamine products as well as cornstarch- and sugarcane bagasse-based items, and putting an immediate stop to the purchase of certain plastic products and Styrofoam. At the resorts’ bars, plastic straws were replaced with straws made from cornstarch and now, drinks are served with straws only upon request – with the exception of a few specialty drinks. “The guest response to this has been wonderful, as they comfortably ‘buy in’ and embrace the initiative,” Troubetzkoy said. Plastic cups are no longer available at the resorts’ staff hydration stations – instead, employees bring their own reusable cups or bottles. This small change on its own accounts for the elimination of more than 500 single-use plastic containers daily. In the staff canteen, metal cutlery has replaced plastic cutlery, and employees bring their own reusable containers if they need to take food back to their desks and stations. Groundskeeping on the sprawling 600-acre estate had also become an area that consumed a lot of plastics, Troubetzkoy explained. For vegetative waste-clearing, single-use plastic bags have now been replaced with heavy duty reusable bags that are ultimately compostable at the end of their life cycle. In further celebration of Earth Day 2018, Anse Chastanet and Jade Mountain are encouraging their guests to participate in a lineup of interactive environmentally conscious activities. 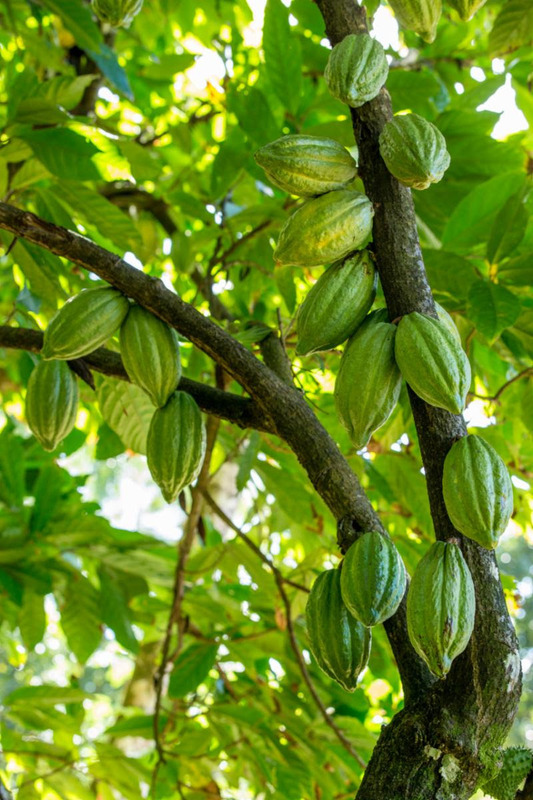 Guests can plant cacao trees on the resorts’ organic Emerald Farm, which is the source of much of the restaurants’ fresh produce and the inspiration for their farm-to-table approach to dining. Anse Chastanet guests will have the opportunity to plant cacao trees on Earth Day. On Earth Day, visitors can also enjoy a “Low Carbon Dining Experience”, which utilizes little to zero carbon-producing cooking methods, such as marinating, curing and seawater poaching. Chefs will use wood ovens and charcoal grills to further reduce the resorts’ carbon footprint. Menu options include an Emerald Farm Watermelon and Julie Mango Salad, Charcoal-grilled Banana Leaf Mahi Mahi and Zucchini Carpaccio. Scuba enthusiasts can take part in an underwater clean-up dive with guides from the resorts’ onsite dive operation, Scuba St. Lucia, which last year won the PADI Green Star Award for its commitment to conservation. 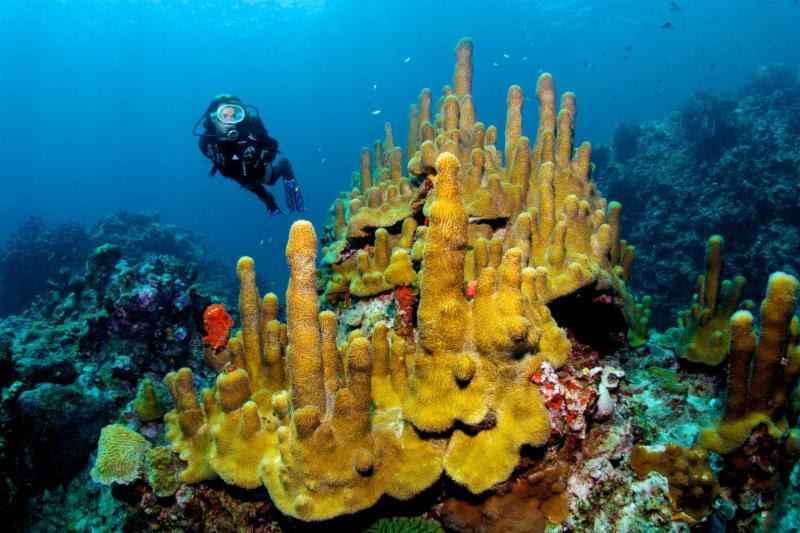 Scuba enthusiasts can celebrate Earth Day at Anse Chastanet with an underwater clean-up dive. Guests also have the opportunity to join a dive to hunt the invasive lionfish species, which has no natural predators and is known to dramatically impact native ecosystems and local fishing economies. Scuba St. Lucia answered the call of regional conservationists to battle the species by introducing the PADI “Invasive Lionfish Tracker Specialty Course”, which teaches participants about controlling the intrusive population and how to humanely capture and euthanize these fish. Anse Chastanet and Jade Mountain also include lionfish in their culinary offerings, serving it up in a variety of ways – grilled, stewed, as sashimi, and as citrus ceviche wrapped in a crispy tortilla. Among their host of sustainable practices, the resorts operate with a “water is life” water management philosophy, which includes non-toxic cleaning products, an onsite wastewater treatment plant, and an independent water supply to avoid burdening the surrounding community of Soufrière. Anse Chastanet and Jade Mountain consistently receive recognition for their sustainable initiatives, most recently achieving Travelife Gold Certification. In 2016, Jade Mountain also became the first hotel in the Caribbean to earn the prestigious Leadership in Energy and Environmental Design (LEED) Gold certification. For more information, please visit www.ansechastanet.com and www.jademountain.com.